Tomorrow, 4th April is the real Ching Ming festival. However, my hubby and his siblings had Ching Ming for my in-laws yesterday. He brought home so many pigs, ducks, chickens, cakes and fruits until my fridge couldn’t accommodate. 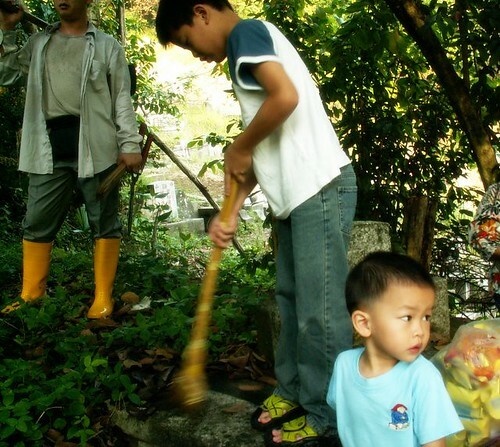 Ching Ming festival is basically the clearing of our ancestors’ graves. Ching Ming can be carried out 10 days earlier from 4th April and 10 days after 4th April. That means we have 20 days to go to the tomb to clear it. 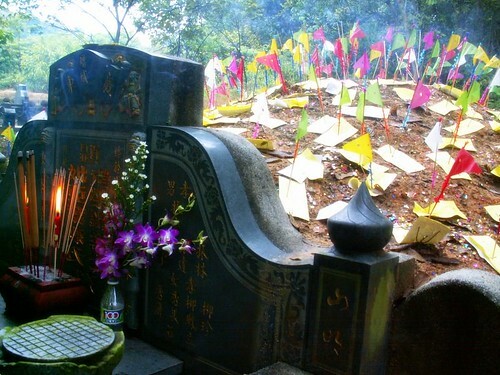 Colourful papers are placed on the cleaned grave and Taoists offer foods and paper offerings. My second brother-in-law seems to strike lucky number each year and he will sponsor a roasted pig. That’s how I ended up with so many slices of roasted pork at home now. I didn’t join the Ching Ming festival this year because my children were either in school or the young one sleeping. They usually go very early in the morning. 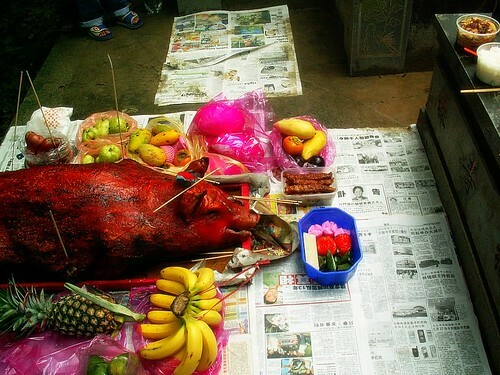 Now, my problem is to boil that pig’s head and make ‘choy keok’ with them. I will probably cook the pig’s head and feet over this weekend. Happy Ching Ming festival! I have some personal rants on Ching Ming festival on my personal blog as well, in case you are interested to learn about the prayers. Just wondering – I don’t know much about the Taoist religion, so I’m not sure how the Ching Ming festival works. Do they take all the food home after offering them at the grave or leave them there? Oh wait I just read your other entry on Ching Ming so I found the answer, haha. Sorry for the stupid question!